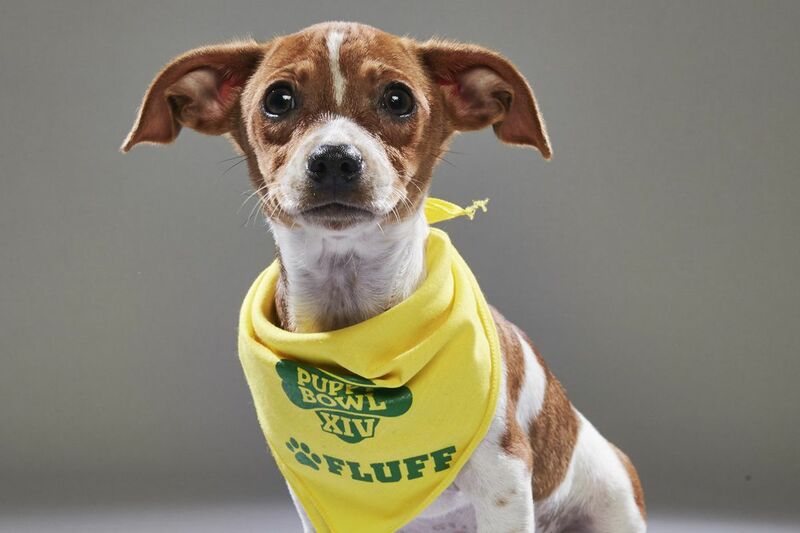 Lila, a Jack Russell Terrier mix from Morris Animal Refuge, will appear in Animal Planet’s Puppy Bowl XIV as a starter for Team Fluff. Our beloved Eagles still have to make through the playoffs (without crowd favorite Carson Wentz) before getting a shot in the Super Bowl this year. But regardless of where the Birds end up in February, Philadelphians will be able to cheer on a few locals at the big game, courtesy of Animal Planet's Puppy Bowl XIV. This year's Puppy Bowl again will pit Team Ruff against Team Fluff in a contest so see who can take home the "Lombarky" trophy, as is tradition. This year's Puppy Bowl will have four local participants. Aside from the Philadelphia-area dogs, Puppy Bowl XIV will focus on animals from areas affected by natural disasters in 2017, such as Houston, Puerto Rico, and Florida. Animal Planet worked with nearly 50 animal shelters in 25 states to recruit dogs for this year's Puppy Bowl. This year's game will also feature the inaugural Puppy Bowl Presents: The Dog Bowl, a competition geared at adult rescue dogs. That event will put Team Wags against Team Tails. Puppy Bowl XIV will air Sunday, Feb. 4 at 3 p.m. on Animal Planet. A pre-game show will begin at 2 p.m., and features what a release calls an "aww-nalysis" of the game to come.